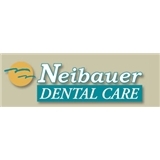 Neibauer - Hyattsville (Hyattsville) - Book Appointment Online! Our Vision: To be a World Class Company and the Leader in Dentistry. Our Mission: To support dentists as they deliver the highest quality dental care and experiences to the communities they serve. Our Core Values: • We are committed to supporting optimum, lifetime care to our patients that exceeds their expectations of value and service. • We partner with our Doctors and team members to instill a strong office culture built on integrity and participative management. I actually went in on 12/3 thinking that was my appointment. Seeing I was in pain they told me they'll see me anyway. He started a root canal in between patients which was still less than 2hrs total after getting there. His goal was to relieve some of the pain. The staff was excellent, very knowledgeable and nice. In the end, he'd referred me to a specialist due to the complexity of my nerves, prescribed penicillin and pain meds to help keep the condition tolerable until I was seen by the specialist. The reception made both the follow up to complete the crown and the root canal specialist appointment for me, which was on 12/5. Dr Tailor ECP office in Silver Springs was excellent with the service provided. A good representation of Dr Ts office. I will make him my primary dentist. And seek to have invisalign services as well. Thank you for hosting quality doctors.